Singapore is packed with fun, thrill, and vigour. In spite of the nation being minuscule in size, it is overloaded with a plethora of attractions – be it iconic landmarks, avant-garde attractions or nature escapes. Nevertheless, in these jumble of exciting attractions, there are other points of interest that form a significant part of Singapore’s sightseeing lists. If you are an art or history lover, then Singapore museums are the right places for you. 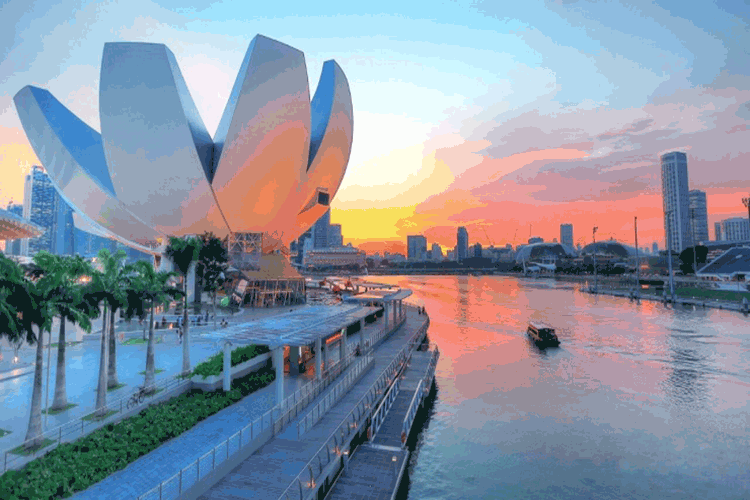 Singapore’s history, its grit to pioneer as a global city, its cultural and creative essence can all be experienced at its vast array of museums. Not sure which museums to choose for your Singapore trip? Check out our top 5 must-visit Singapore museums. This Singapore attraction is quite hard to miss if you are in the Marina Bay area. Located right in front of one of the popular things to see in Singapore – the Marina Bay Sands, this colossal lotus-inspired structure is also one of the prominent landmarks of Singapore’s cityscape. The architecture of the museum symbolizes a welcoming hand of Singapore. Art meets science to weave fascinating tales that offer visitors with interesting knowledge about the world. The experience is further enhanced by fusing cultural elements and interactive technology. Art Science Museum has 21 galleries spread over 3 storeys and covers a total area of 50000 square feet. The museum includes permanent galleries – Curiosity, Inspiration, and Expression and is famed for its international touring exhibitions by famous artists from around the world. The museum often joins hands with other famous museums of the world such as British Museum, American Museum of Natural History and Biblioteca Ambrosiana to name a few. This Singapore museum also encourages visitors to express their potentials through art workshops. How to get here: Located at Marina Bay Sands, on the edge of Marina Bay Waterfront, ArtScience Museum is just a few minutes away from Bayfront MTR Station and Marina Bay MTR station. Admission Cost: varies according to the exhibits. Singapore is a vibrant, multi-ethnic hub and the same can be seen in various parts of Singapore’s lifestyle. One such primitive cultural sector is the Peranakan community – natives who are descendants of Chinese immigrants from Malay Peninsula. 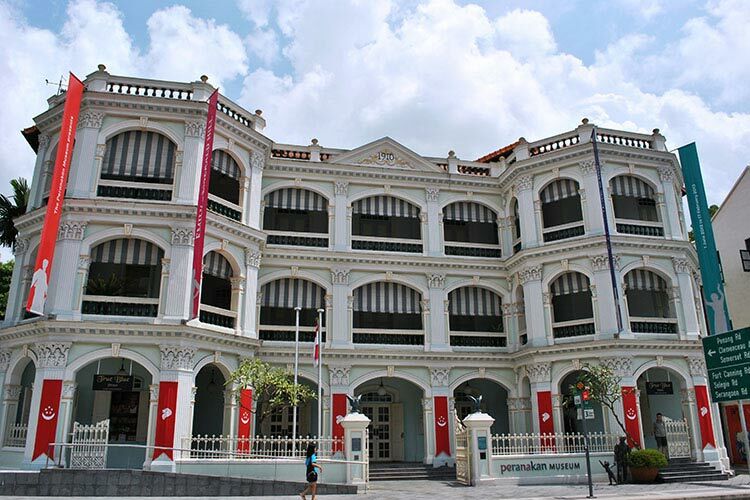 Occupying the Old Tao Nan School – a Chinese building at Armenian Street, the Peranakan Museum is first of its kind in the world that sheds light on the indigenous Peranakan heritage. The museum’s strait settlement architecture and a vast collection of Peranakan artifacts, historical exhibits and galleries pay tribute to this ancestral culture of Singapore. How to get here: The museum is 10 minutes’ walk from City Hall or Bras Basah MRT Station. Admission Cost: SGD 13 per person. 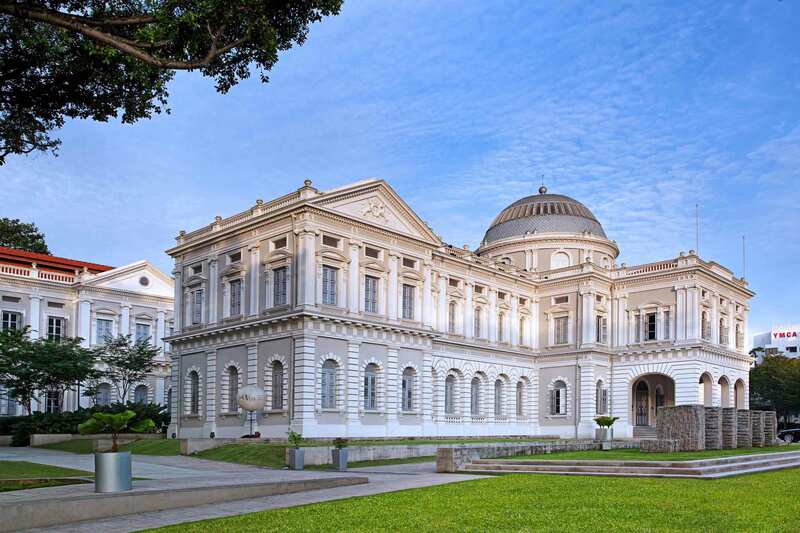 Singapore’s largest and oldest museum, The National Museum of Singapore is one of the popular Singapore tourist attractions for foreign travellers and a renowned heritage landmark for the locals. Located on Stamford Road, this magnificent 19th-century colonial building with a dome on its roof is brimming with spectacular tales of Singapore and the world. The collection of galleries mainly highlight Singapore’s legacy that traces the journey of a nation’s evolution. From being a quaint settlement seized by British colonial rule, to the struggle for independence and progression towards one of the most developed global nations is beautifully conveyed through a series of creative displays and screenings. The Museum’s innovative and abstract art installations especially the “Story of the Forest” installation at the Glass Rotunda is a definite must-see attraction of this museum. How to get here: Located at Stamford Road. This museum is 10 minutes’ walk from Dhoby Ghaut MRT Station. Admission Cost: SGD 15 per person. Children below 6 years of age – Free of charge. 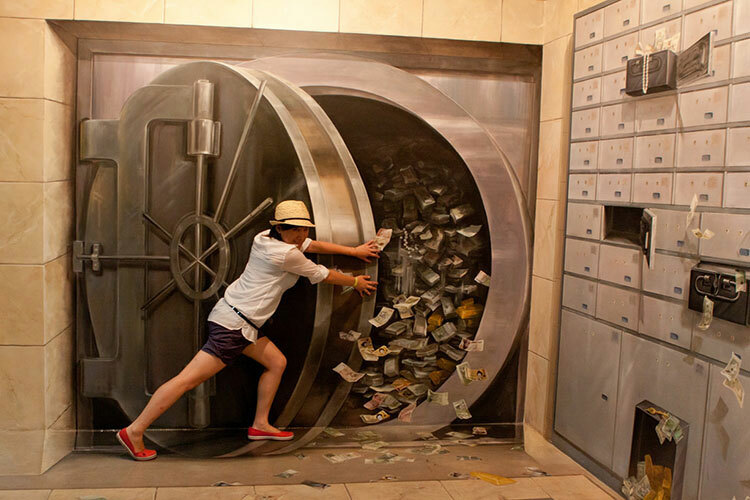 Enter into a world of creative imagination at Trick Eye Museum, Singapore. Nestled within the one of the most talked about Singapore attractions -Resorts World Sentosa, this unique museum introduces its visitors to Augmented Reality through its installations and exhibits. Divided into six theme zones, Trick Eye museum creates a surreal ambience and deceives the eye. It brings alive paintings and dioramas through realistic optical illusions combined with sound and light effect. It would take some time for visitors to believe what they are seeing here. They are left awestruck at witnessing themselves levitating, or suddenly become a giant. The exhibits are mostly influenced by Singapore’s landscapes and culture while some are created purely for fun. It’s a great place to take Instagram worthy pictures as you will be part of these uncanny exhibits. How to get here: Located inside Resorts World Sentosa, near to SEA Aquarium, the museum is a couple of minutes away from Sentosa Waterfront Station. Admission Cost: SGD 25 per adult and SGD 20 per child. Children below 6 years of age – Free of charge. A real treat for toy lovers, The MINT Museum of Toys is a one of a kind museum in Singapore that houses a vast collection of vintage toys and memorabilia. Being a museum for kids and adults alike, children would enjoy the toy collection and grown-ups can reminisce their nostalgic years of playing with their favourite toys and characters. In fact, MINT is an acronym for ‘Moment of Imagination and Nostalgia with Toys’. 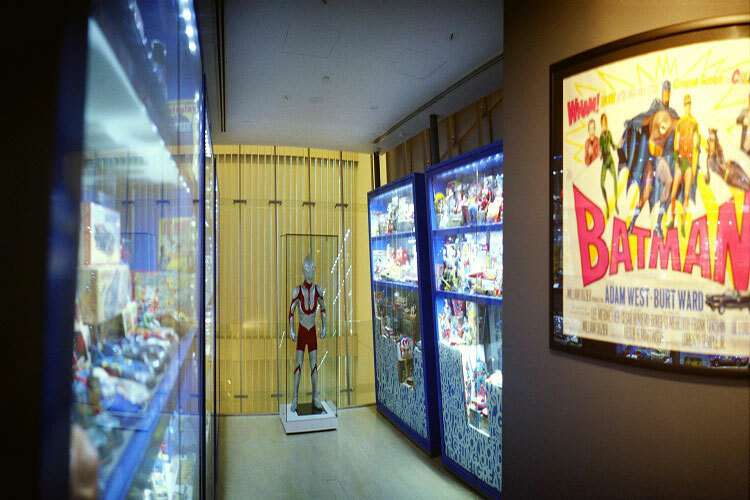 Located on 26 Seah Street, The museum is the first purpose-built arena for toys and collectables. It is home to over 50000 items from around the world sprawled in 4 themed levels namely Outer-space, Characters, Childhood favourites and Collectables. The rooftop and basement of the museum have dedicated galleries exhibiting Enamel signage from around the globe. The museum even hosts ‘Make and Play’ Seasonal Events for families which take place this year during 27 May till 24 June 2018. In ‘Make and Play’ event, special tours and workshops are conducted where toys bond grownups and kids together in fun time. Parents can let their children know about their favourite toys and childhood memories and participate in basic toy making and other craft skills. How to get here: Located at Seah Street, the museum is 5 to minutes stroll away from Cityhall, Bugis, Bras Basah and Esplanade MTR stations. Operating time: Daily – 9.30 am to 6.30 pm. Last Saturday of the month – 9.30 am to 9.30 pm. Admission Cost: SGD 15 per adult and SGD 7.5 per child. A visit to Singapore’s amazing collection of museums will give you an idea of the diversity and vigour of the country. It also opens your mind about eccentric interests of Singapore’s art and creative scenario. 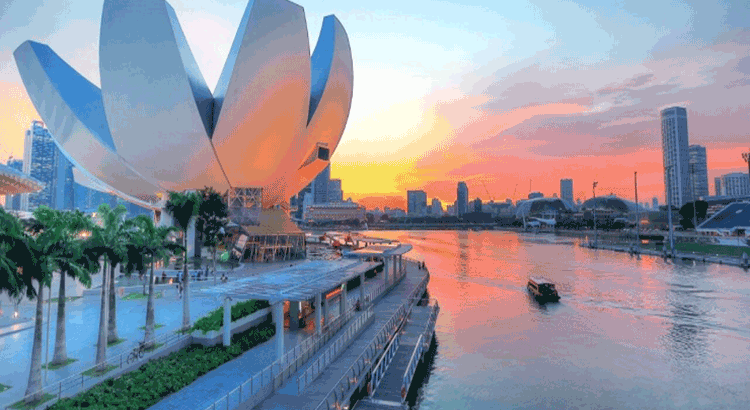 So next time you apply for Singapore visa and plan which places to visit in Singapore, include few of these museums in your travel itinerary to get an in-depth Singapore experience on your holiday.